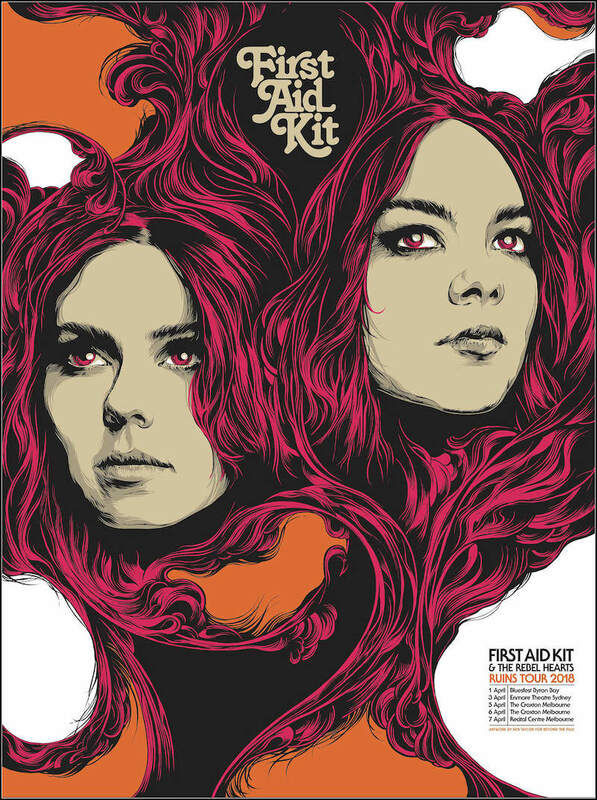 Ken Taylor has released yet another beautiful concert poster, this time for First Aid Kit. It’s an 18″ x 24″ screenprint, has an edition of 295, and costs $45 usd. There is also a foil variant available. Visit BeyondThePale.com.au.